The trouble with socialism, it has been said, is that you run out of money. Well, not in India or so it seems. The truism, widely attributed to Margaret Thatcher, has been set up for a reality check. The context is Air India. The national carrier is yet again on the “rescue me” queue. This time—after sinking public monies and staking sovereign guarantees—the government is looking at an “innovative” bailout. The innovation: conversion of Rs 28,000 crore, out of the Rs 46,570 crore the airline owes 31 institutions, into equity, induct professionals with proven skills and listing of the airline. Simplicity can be seductive. Effectively, lenders are expected to forsake interest earnings for a slice of ownership and the promise of dividend—ownership in a flailing enterprise ranked third worst-performing in 2016, and returns from an airline that has reported net losses of Rs 6,279 crore, Rs 5,859 crore and Rs 3,836 crore in the past three years. Who takes the hit? The price will be borne by the depositors and shareholders of the 31 banks, the Life Insurance Corporation and the Employees Provident Fund Organisation. Remember that the banks are already reeling under gross NPAs of around Rs 7 trillion (roughly over $100 billion), and public sector banks desperately need capital infusion of around Rs 1.10 lakh crore. Embedded in the idea is a moral hazard—would this munificence be a precedent for other public sector enterprises (PSEs) that are ailing? Yes, the enterprise is owned by the government and the owners must pay the price of management or mismanagement. If the government must bail out Air India, why resort to off-balance sheet tactics? Why not bailout transparently as was done in 2002 for UTI and banks? More pertinently, the question that begs an answer is: Must the government own and run an airline—keeping in mind that the innovative bailout does not mention liberation from ministerial rule? Civil Aviation was technically opened up in March 1994 to private players. It is 23 years since the P V Narasimha Rao government repealed the Air Corporation Act which bestowed monopoly status to Air India and Indian Airlines, to enable the entry of private players. Implicit in the decision was the need for the government to exit the sector. However, every Civil Aviation minister successfully packaged political opposition as a national cause. The necessity for a “national carrier” was deftly deployed for rent, and as a convenient instrument to help connected private players thwart competition. This was best illustrated in the killing of the Tata-Singapore Airlines proposal following an okay by the FIPB after 30 MPs across ideologies voiced concerns and need for supporting the national carrier. The Atal Bihari Vajpayee regime did try to disrupt the status quo. In 2000, the Ministry of Disinvestment (first led by Arun Jaitley and then by Arun Shourie) listed Air India and Indian Airlines for disinvestment. It was an unstated rejection of the notion that the government must fully own a national carrier. Indeed, it is a notion rejected by Britain and over a dozen countries. The advertisement for the disinvestment was issued on August 28, 2000. The policy envisioned a sale of 26 per cent stake in Indian Airlines, and a 40 per cent stake in Air India to a strategic investor. It was to be followed by an offering (25 per cent in Indian Airlines and 20 per cent in Air India) to employees, public and financial institutions. The announcement received serious attention. Among the shortlisted investors were Tata Sons with Singapore Airlines, Ashok Leyland-Hinduja Group with Lufthansa, L N Mittal-Kotak Mahindra with British Airways and Qantas, Sky Team Alliance that included Delta and Air France, the Indian Pilots’ Guild led by S P Verma, and Videocon International which bid for Indian Airlines only in a consortium with two Asian airlines. Of course, the political Maharajas ensured that the disinvestment process was grounded despite the fact that it had the blessings of Vajpayee. The UPA came to power in 2004. It depended on the Left for survival, and given the character of the coalition, privatisation of off-the-table. It could have done what it did for airports —brought in strategic investors. It did not. Indeed, between 2004 and 2008, India notched 9-plus per cent GDP growth three years in a row and even coined the moniker of “the fastest growing free market democracy” at Davos. It could have leveraged the market and optimism to divest, list and liberate the airlines—as the British had done with British Airways through a widely distributed public offering. The UPA instead opted to continue with ministry management, expand the fleet with 111 aircrafts at a whopping $10 billion and merged Indian Airlines and Air India with the backing of the Left Front. The choice of status quo and punt on growth crash-landed. The 2008 financial crisis, the failed merger and rising costs of expanded operations triggered a royal mess. By July 2009, Air India was screaming May Day. The combined entity, called National Aviation Company, was losing Rs 10 crore a day, its net worth was wiped out and it needed an immediate bailout of Rs 7,500 crore. In 2000, it was estimated that the disinvestment of Indian Airlines and Air India would fetch around Rs 10,000 crore. In 2017, the shacked and starved enterprise is queueing up again and again for bailouts. Bailouts typically lead to bailouts. For starters, the conditions persist. More importantly, there is the context underpinning the political economy. It is indisputable that cohabitation of the public and private sectors in a market economy, particularly like India, almost always leaves PSEs bleeding—the PSEs are politicised, private businesses are artful. This is validated by the market. Witness the state of BSNL/MTNL. The market value of two private banks is more than all listed PSU banks. The saga of eroding wealth is repeated across the sectors. Of the 234 PSEs, 71 are making losses —36 of them for five years. 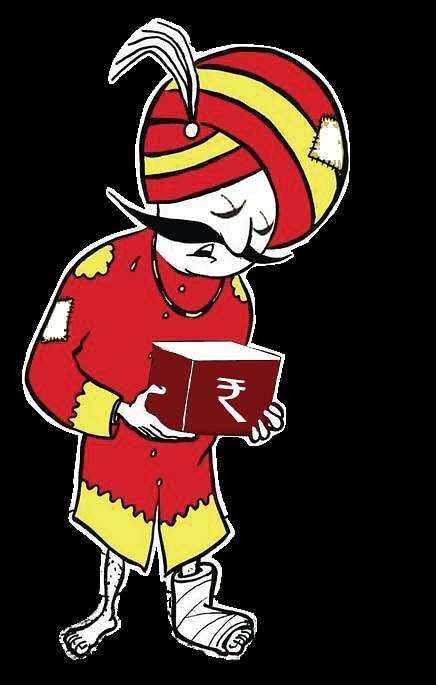 PSEs lose around Rs 20,000 crore a year, which is roughly over Rs 50 crore a day. The total loss is estimated at Rs 1,19,230 crore. The crux of the issue is the need for new thinking on PSEs—insulate public ownership from political management. Must government manage businesses?